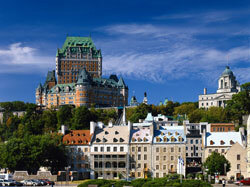 The Summer School takes place in the vibrant city of Québec. Visit the Tourism office website to learn more. Hotel expenses are taken care of in the registration fees. More information about the hotel location will be sent to registered students. The Jean Lesage International Airport is a short taxi drive away from Quebec City and the CRIUSMQ research center.